This hour originally aired on Oct. 9, 2018. No ropes. No carabiners. No cams. Nothing but his hands and feet. We’ll talk with rock climbing superstar Alex Honnold about his record breaking 3,000-foot, free-solo climb of Yosemite’s El Capitan. Jane Joseph, Cognitive neuroscientist and professor of neuroscience at Medical University of South Carolina. In 2016, she performed a scan of Alex Honnold’s brain. Vulture: When One Mistake Means the End of Your Movie — and Its Star — "One hiccup in the choreography, one slip in the tiny indentations that pass for grips and footholds, one hard screech or bite from the birds and mice that populate the crevices — that’s all it would take for Honnold, a legend in the exceptionally rarefied field of “free solo” climbers, to fall to the earth. 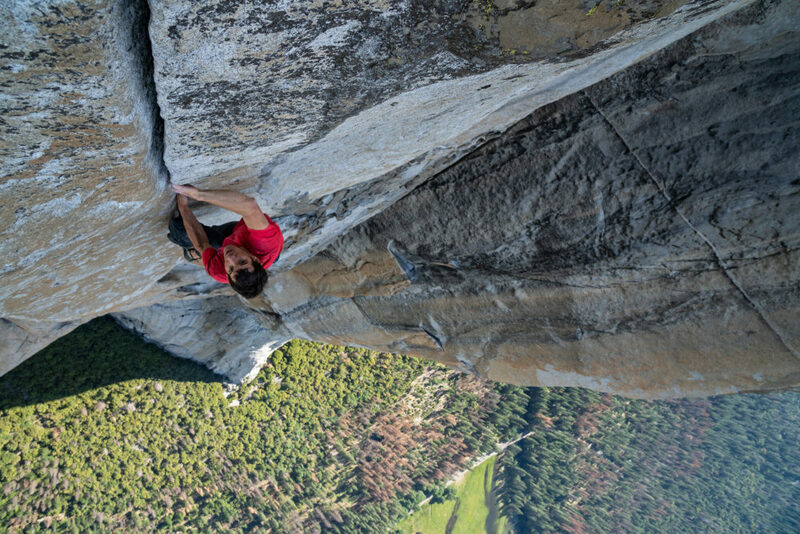 For Chin, who spent the morning of the 3rd hanging off the upper-third of El Capitan with his camera, there was always the possibility that production on Free Solo, the arresting new documentary he co-directed with his wife, Elizabeth Chai Vasarhelyi, would end with Honnold dropping out of frame. Now the three of them are reminiscing cheerily in a small hotel conference room near the Toronto Film Festival, where the film won the People’s Choice award for Best Documentary." National Geographic: Alex Honnold Isn’t Fearless—He Just Accepts Death — "A lot of people say I don’t feel fear, or that I don’t fear death, but that’s just not true! I have the same healthy hope of survival as everybody else. I don’t want to die. At least not yet. [Laughs] I think I just have more of an acceptance that I will die at some point. I understand that, but I don’t want to baby myself along the way. I want to live in a certain way, which requires taking a higher degree of risk, and that’s acceptable to me." This program aired on December 25, 2018.